I’ve been blogging about frugality for nearly 3 years now (Gasp! Has it been that long?) and while I started blogging as a broke graduate student and my life and finances have evolved over time- one thing hasn’t changed: the pressure to keep up with the Joneses. Over the years, the “Joneses” have been different- for a time it was sorority sisters who had flashy designer handbags and IKEA catalog apartments, then when I began blogging, I started to notice how shiny and pretty other bloggers always looked- especially the fashion bloggers who seemed to have endless wardrobes and wallets. Now, as I’m engaged and planning my wedding for 2015, I’ve discovered the ultimate “Jones”….the wedding industry. 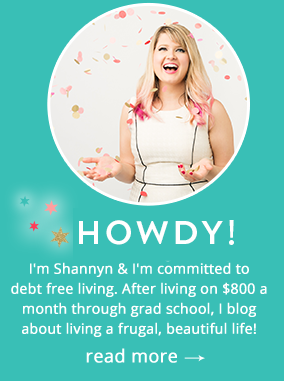 I’ve committed myself to debt-free living all in my adult life. Growing up, I remember hearing the phone ring and was told not to answer because creditors were on the line. I remember lavish Christmases with gifts I didn’t even want, all bought on credit and the emotional fallout within my family when the bill came a month later. Consumer debt put on a gorgeous facade, but I remember the devastation it caused when the collectors called and it’s followed me all this time. To me, frugality is about authenticity. I still love my Tiffany and I own a pair of LouBoutins – but it’s all been paid in cash. Just because you’re frugal, doesn’t mean you have cheap tastes, it just means that you know how to shop a sale, you’re committed to getting out of or staying out of debt, and while you may be a slave to fashion, you don’t have to be a slave to debt. Now, I’m planning my wedding and I had the blessing of hearing from Frugal Beautiful readers to better understand what “real” wedding budgets look like (see that Facebook conversation – the answers were all over the board and totally insightful!) and I’ve seen a variety of weddings at a variety of price points. I’m still figuring out what our budget will be- I started saving a few months before we got engaged (y’all thought I was crazy!) and have about $3500 saved so far, which is great and completely nothing all at the same time. It amazes me when I talk to people- some people see your wedding day as the ultimate expense and others think it’s totally silly to spend money on a wedding. To me though, while I didn’t dream of my wedding day as a little girl or “dream of being a bride my entire life,” my wedding day is going to be one of the most important days of my life, and I’m willing to pay for it. As much as I realize it might seem financially frivolous, my wedding is super important to me. More than spending a boatload of cash for our wedding day and making it “perfect” (don’t brides just love that term? 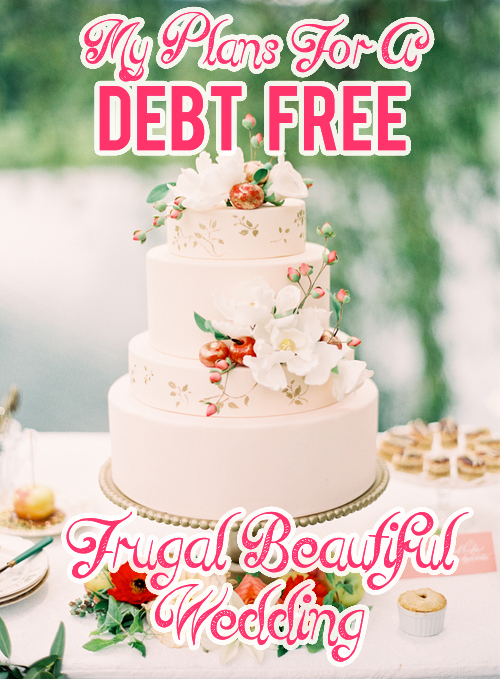 )- I want to do my wedding DEBT FREE. This is going to be my biggest challenge yet and I’m going to have to get really creative in order to find funding, get discounts and DIY my way towards our wedding day. I have the goal of making my wedding look like a million bucks, without costing a million bucks. Over the next 18 months (we’re having an intentionally long engagement so I can snag a special June wedding date!) I hope you’ll be along for the ride. I want to pay for this in cash and I’m really nervous admitting that to everyone since I still have yet to pick a venue beyond “California” and set a definitive budget. – The wedding date will be 6-6-2015. I haven’t booked the venue yet, but that date is already terribly unfrugal yet I’m in love with it. – We’re getting married in southern California, a notoriously unfrugal place to wed, but the weather is nice & my family is there. – I know can cut costs by cutting the guest list. I know we will probably have over 100 people and having a party big enough for the fabulous folks in our life is very, very important to us. – There will NEED to be a photo booth of some kind. I can live without monogrammed napkins, but not a damn photobooth, our people need to don glittered party hats and fake mustaches for part of our party. – I’ve already started saving cash for the big day…$3500 isn’t much, but it’s a good start. – I’m going to try and get things sorted out early. What I can’t DIY I’m going to pitch vendors and barter. – I’m hoping a family member or friend can chip in for photography. – The “average” American wedding costs upward of $28,000. Our budget might not be that high, but I’m going to save like a madwoman as if it was in the meantime. – Airline miles. Prepare to be cashed in! Favors of any kind, also prepare to be called in. Ha! Honestly.. I’m already feeling the pressure already with the bridal magazine glossies and amazing Pinterest boards. The first thing I want to do is find a venue- that seems to be the biggest chunk of change and will thus, determine our budget. The venue is one thing, but knowing how many people they can accommodate is another. I don’t even know where to begin- we want a Route 66 theme and I looked into the Smog Shoppe but want to examine other options at different price points since I hear it books up really early. From message board and forums it can be a pricey venue, and finding one that’s “frugal” might be hard to find in LA. My goal is to find something in soCal that’s got a Route 66 vibe to it (so no victorian mansions, no seaside bluffs or overpriced horse drawn carriages) and will be comfortable and memorable for our guests. If you’d like more of my “wedding mood board” I’d love your ideas! I love how much dedication you’re putting into staying debt free while still having an amazing wedding. It’s great that your wedding is so far off and will give you some extra time to save. Hi Sky- yes, we have some time but it also feels like nothing at all. I keep waffling if it’s enough time or too long but I know that the date is wonderful and the venue will fall into place..still need to book it! I will be doing all I can to earn more and save more- weddings aren’t cheap! Let’s see how I do..now that I’ve put it out there I need to stick to my guns! I LOVE that you’re so focused on having a debt-free wedding. My husband and I got married this year for around $1300, but we did something very unconventional but totally *us*. Really, who gets married outside in January…in Minnesota?? Anyway, I look forward to following along as you plan! I think what you said here is perfect. I’m not engaged but I’m of the same viewpoint as you. My wedding is super important and I’m willing to pay, which is something that is generally frowned upon in the PFsphere. but oh well, people find different things valuable! I think you can do it for sure, you will just have to be creative which you clearly are (check our your fantastic blog). Good luck, you will be a stunning bride! Hi! I stumbled upon your blog by some google search. I was engaged on New Year’s Eve and am also planning to get married next year (sometime between Spring and Summer). Like you, my wedding will be in Southern California and I want my wedding to be debt free and am going to look for any way I can to save money!! I am trying hard to keep my budget under $10,000 for 100 guests. I am also currently searching for the perfect “affordable” venue. 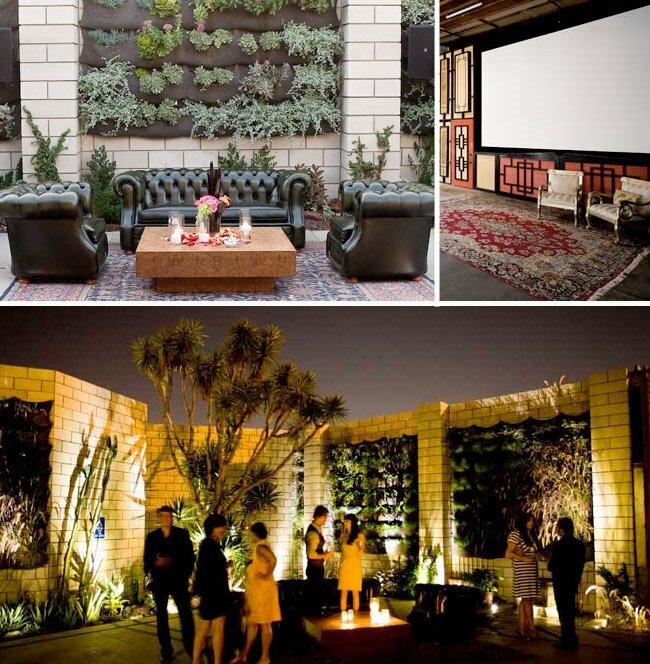 While I am going for a more romantic, upscale theme (my dream is to get married in the backyard of a mansion), I have stumbled upon a few inexpensive venues. Levyland – this is in Carlsbad on the beach (San Diego County) – starting at $3,900 depending on the time of year. You get this place for 6 days and 6 nights! Secluded Garden Estate – Temecula. $1,900-2,300. 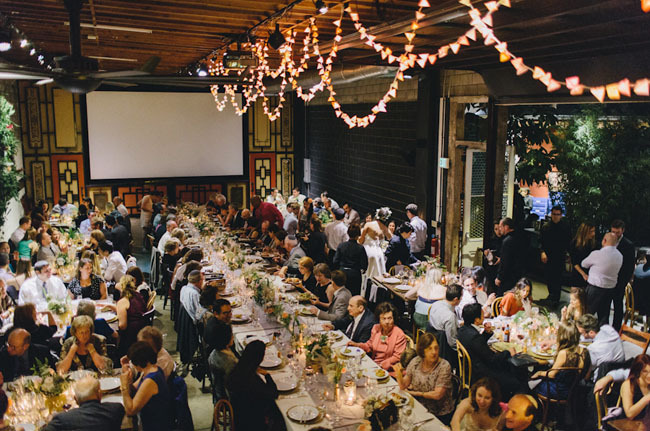 All of these places allow you to bring in your own caterer. All except Camp Seely allow you to bring your own booze. Another way I’ve had some luck is by searching the heck out of vrbo.com (Vacation rentals).. Some places allow weddings and some don’t. I found a beautiful estate in West Hills, CA that is $3,000 to have an event there and it is beautiful!! Hope this information is helpful… If you find anything intriguing please send my way! https://www.noweddingdebt.com/ has a few locations you might like. Hey! my name is Ja-mae, I’m from Bermuda & your story sounds like my twin!! Im getting married next November and like you we are saving towards my “the big day” i’m so glad i found your blog post this morning, because discouraged is an understatement to describe how i am beginning to feel trying to find inspiration, time and money to plan a debt-free, frugal yet beautiful wedding. it would be really wonderful if i could stay in contact with you and hear your stories as you go through this year – let me know how you feel about exchanging emails & if not thats ok & understood and I will stay up to date on reading your post. I am getting married of December of this year and also want to plan a frugal yet fabulous wedding! Our budget is $10,000 in the Boston area. I luckily won a $5k wedding photography and videography package which is nuts since I never win anything! We are going with an estate in the winter which will save significant money on the venue and food since we can use local caterers. I also am cutting the guest list to around 100 guests. Glad I found your blog so I can read how you did your wedding!